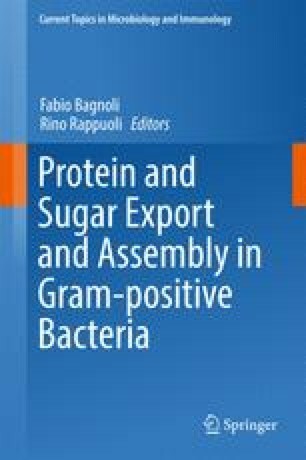 Bacterial secretion systems are sophisticated molecular machines that fulfil a wide range of important functions, which reach from export/secretion of essential proteins or virulence factors to the implication in conjugation processes. In contrast to the widely distributed Sec and Twin Arginine Translocation (TAT) systems, the recently identified ESX/type VII systems show a more restricted distribution and are typical for mycobacteria and other high-GC Actinobacteria. Similarly, type VII-like secretion systems have been described in low-GC Gram-positive bacteria belonging to the phylum Firmicutes. While the most complex organization of type VII secretion systems currently known is found in slow-growing mycobacteria, which harbour up to 5 chromosomal-encoded systems (ESX-1 to ESX-5), much simpler organization is reported for type VII-like systems in Firmicutes. In this chapter, we describe common and divergent features of type VII- and type VII-like secretion pathways and also comment on their biological key roles, many of which are related to species-/genus-specific host–pathogen interactions and/or virulence mechanisms. Support by the European Community (Grant H2020-PHC-643381) and the Fondation pour la Recherche Médicale FRM (DEQ 20130326471) is gratefully acknowledged. M.I.G. is supported by an MD–PhD grant of the University of Groningen, The Netherlands.